Five months ago I built my home lab with VSAN and performance tested it (with the default policy). It turns out I was missing a key part of the configuration: the “Service Provider URLs”. Here is the complete VMware Virtual SAN configuration process for a home lab. You are configuring this on a home lab, otherwise you will have to match this process to an enterprise design; that is, more disks, 10Gb Ethernet interfaces and LAN switches, Network Resource Pools, etc. 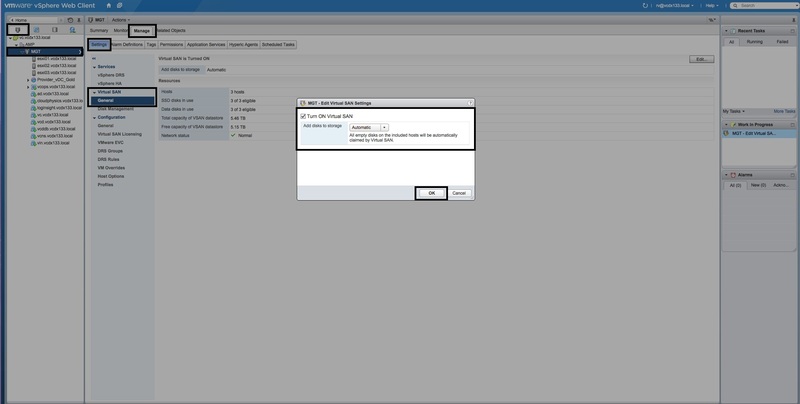 Login to the vSphere Web Client as an administrator. 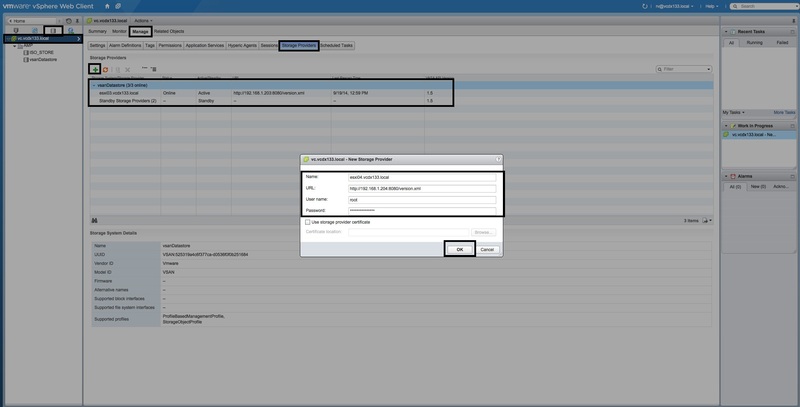 Enable “Virtual SAN traffic” on the Management VMkernel (“vMotion traffic” as well) of each VSAN-capable ESXi host. The vSwitch can be vSS or vDS, it does not matter for a home lab. 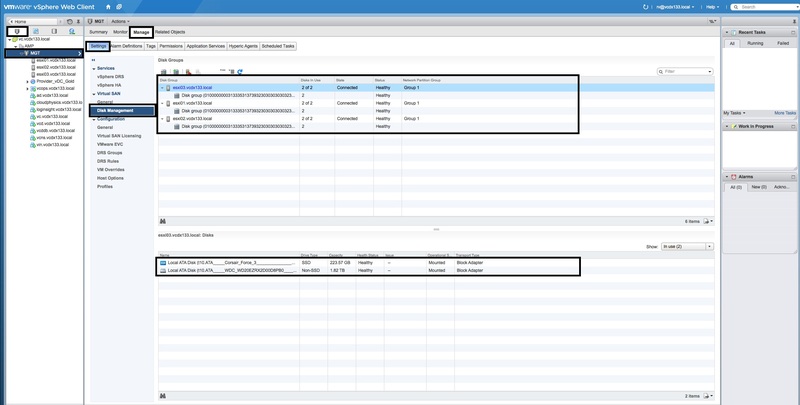 Add your three VSAN-capable ESXi hosts to a Cluster. 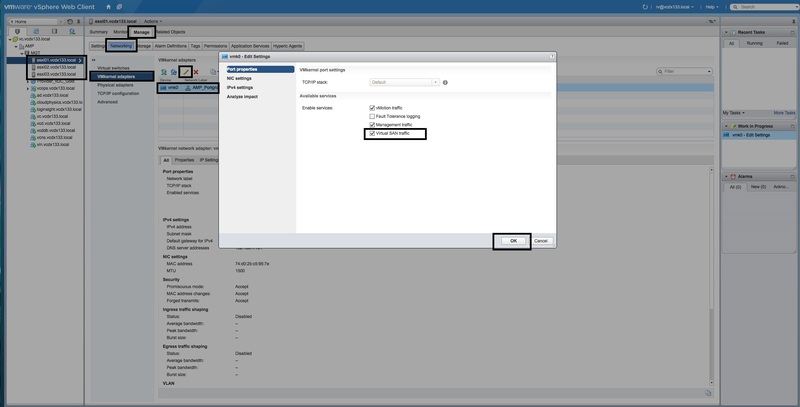 “Turn ON Virtual SAN” in the Cluster with “Add disks to storage” in “Automatic” mode. Click “Disk Management” and verify that the SSD and SATA disks have been claimed. 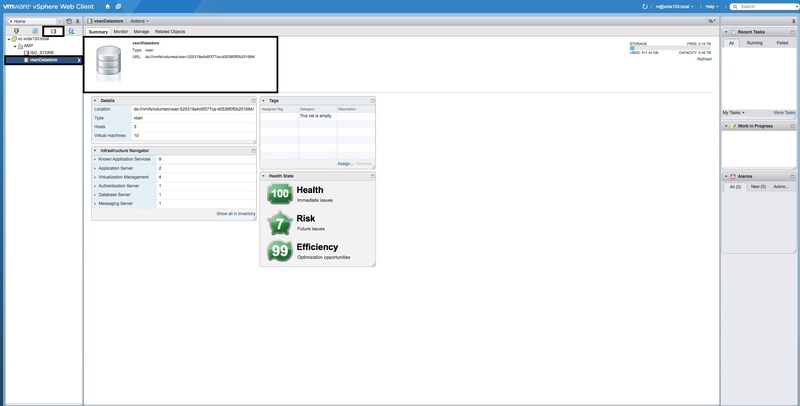 Verify that each host is “Connected” with “Status” “Healthy”. 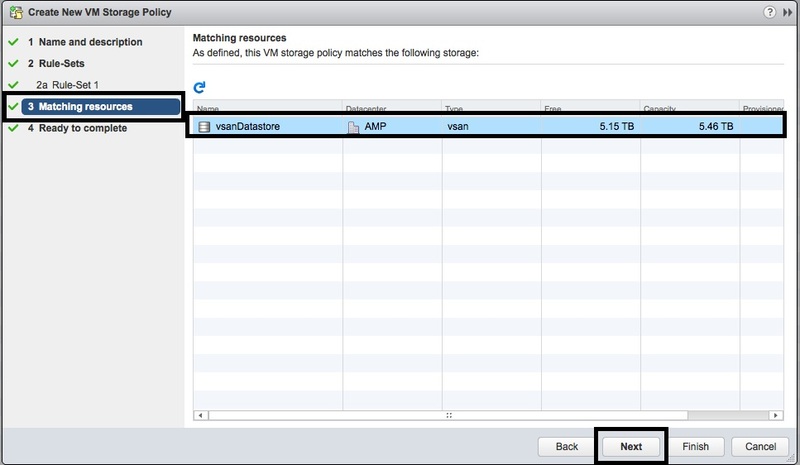 Select the “Storage” tab and verify that a “vsanDatastore” object has been created. 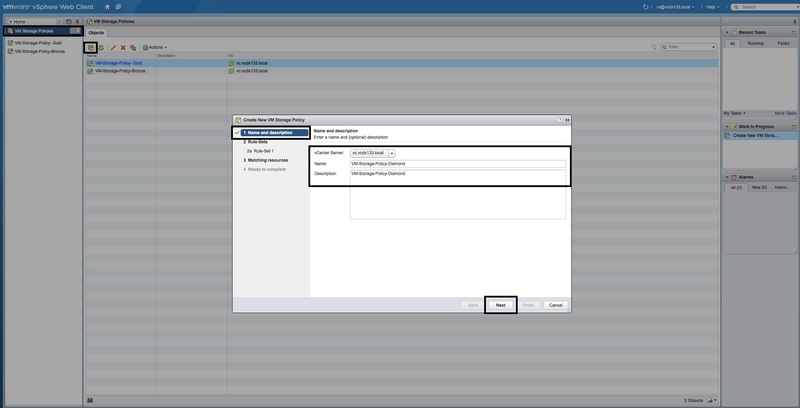 Select the vCenter object and access the “Storage Providers” object from the “Manage” tab. Add each host as a Storage Provider with the following URL “http://<host IP>:8080/version.xml”, including the ESXi root credentials. 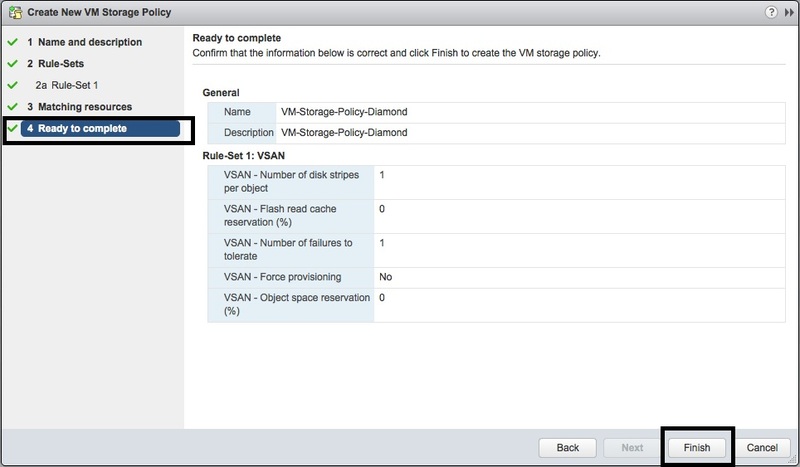 Access the “VM Storage Policies” area and create a new “VM Storage Policy”. 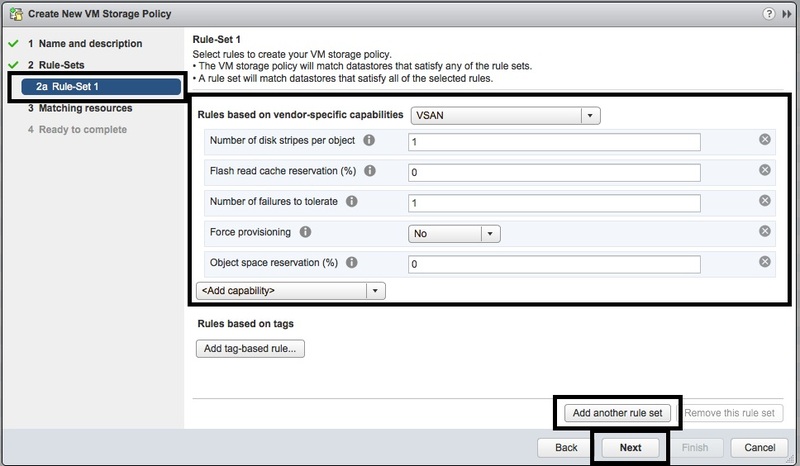 Add the following VSAN Rules to your “Rule-Set(s)” to create the storage performance/protection policy that you want: “Flash read cache reservation (%)”, “Number of failures to tolerate”, “Number of disk stripes per object”, “Force provisioning”, “Object space reservation (%)”. 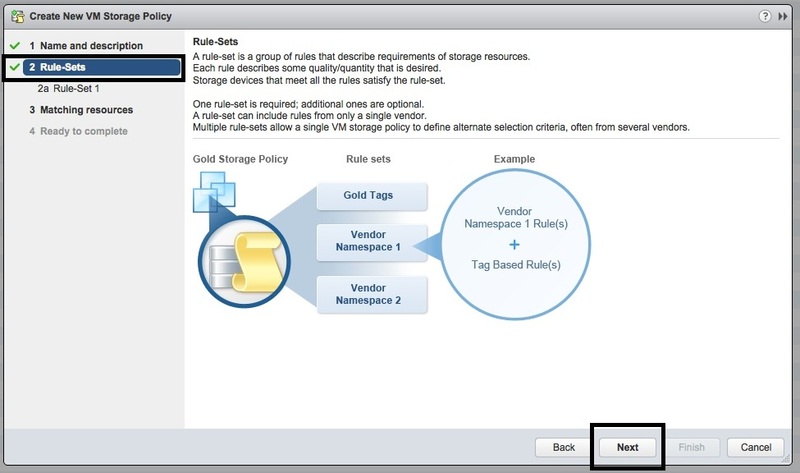 Then select the “vsanDatastore” as the policy target. 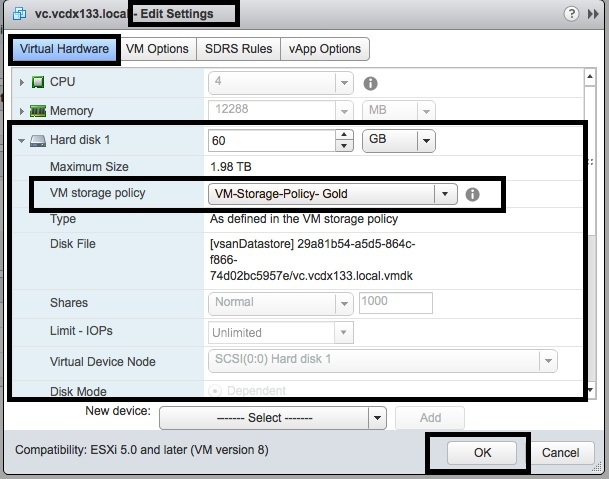 Edit the settings of a virtual machine and select the “VM Storage Policy” for vDisks of the VM.